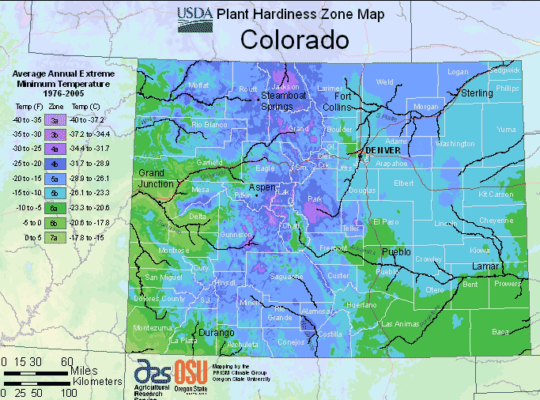 Colorado is in USDA plant hardiness zones 3-7. 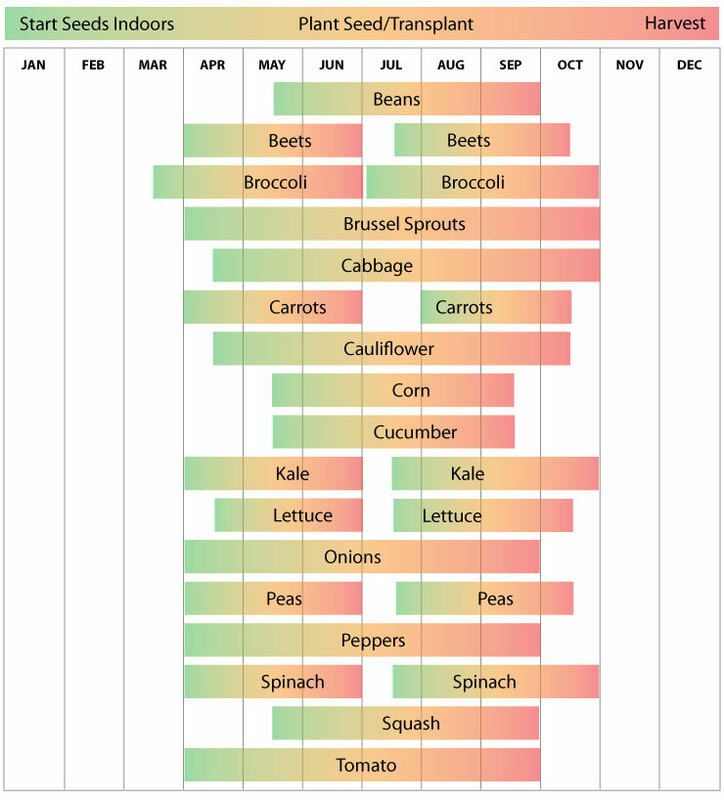 Colorado on average has approximately 120 days between the last and first frost. 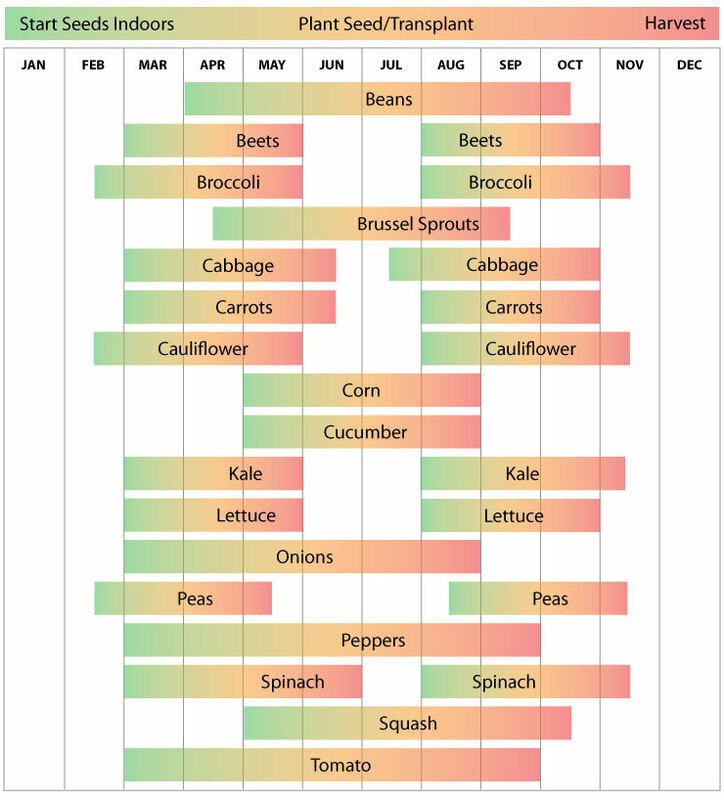 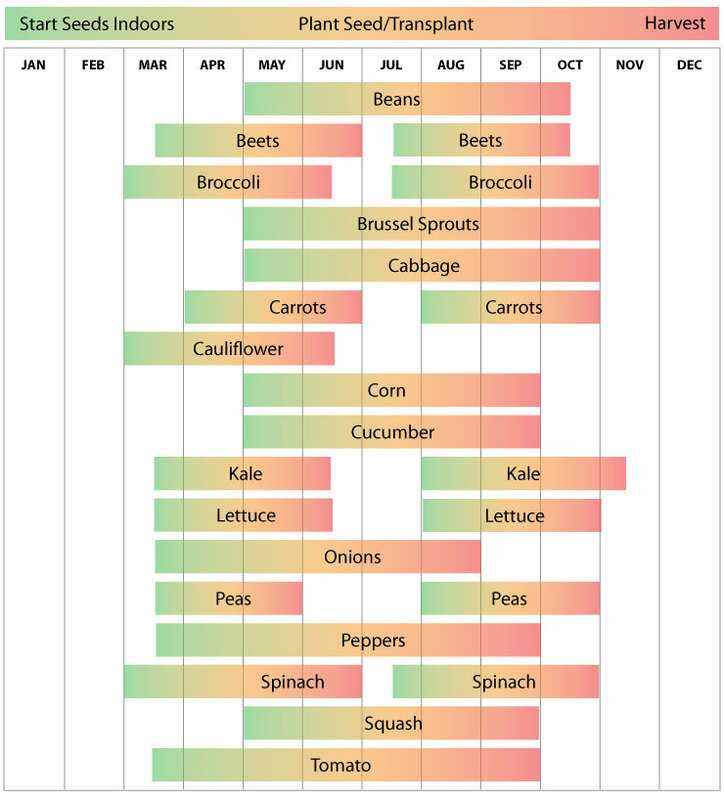 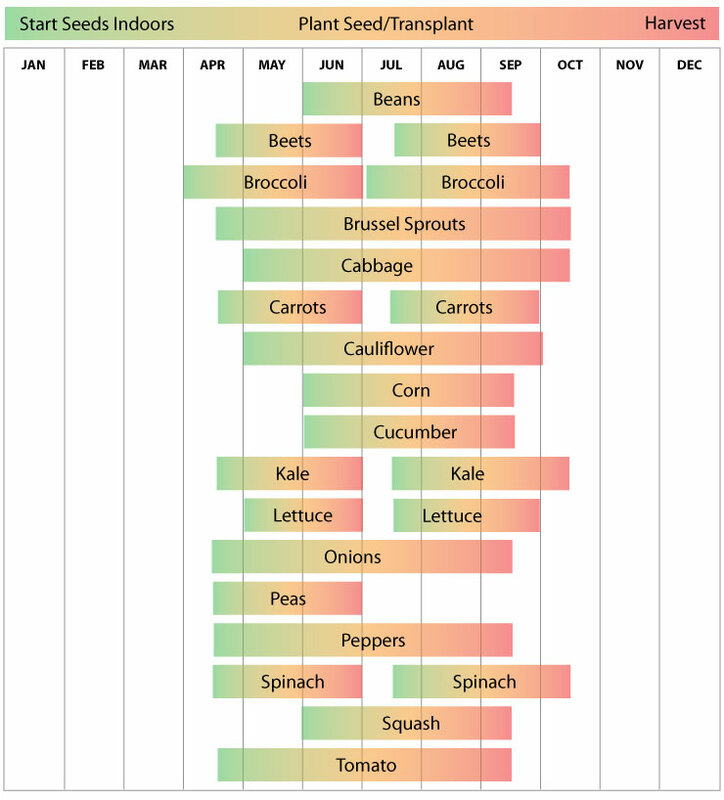 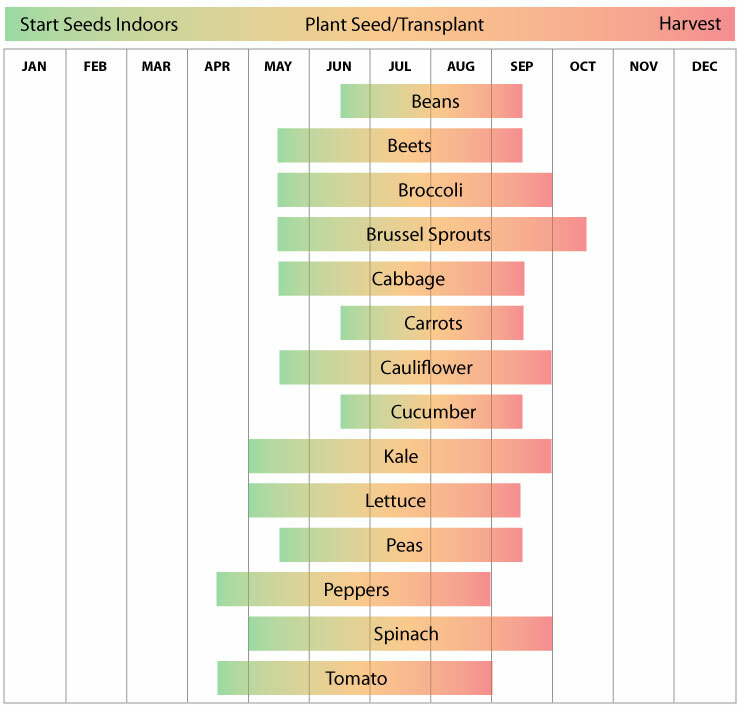 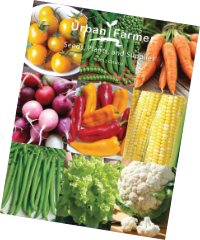 Follow the planting schedules below for when to plant tomatoes, peppers and other vegetables.